San Francisco Calls Us The Best! At Urban Botanica, we enjoy working with corporate offices, restaurants, coffee shops, hotels, and startups to provide custom weekly floral arrangements that cater to your specific vibe and space. We also specialize in plant installation and maintenance and offer custom floral arrangements on a subscription basis for individuals, families, and companies of any size. 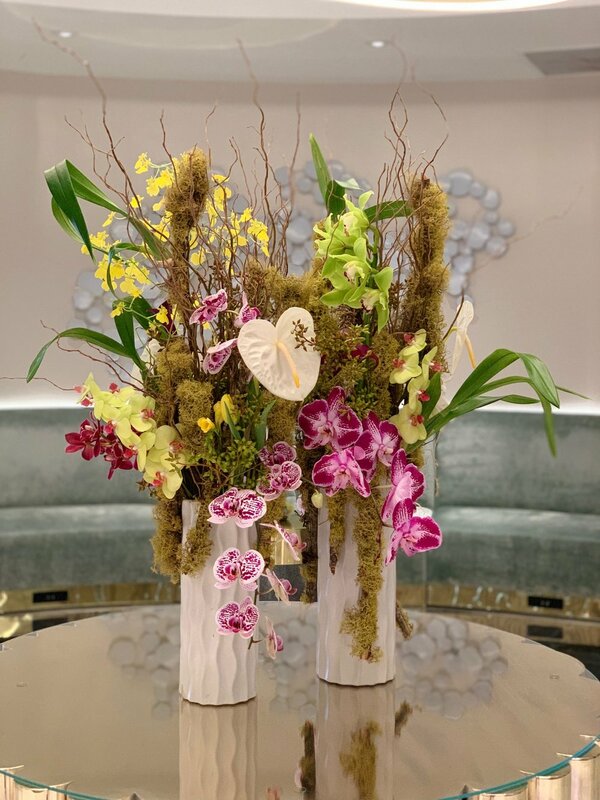 We understand that each space, office and living room varies by size, decor, aesthetic and budget, so we work alongside you to pinpoint your style and preferences and promptly deliver the most beautiful seasonal floral arrangements in San Francisco! We are committed to providing high quality, sustainable and custom-made florae that compliments your workspace, lobby, or living room, and we are consistently called the best flower subscription service in San Francisco. We would love to chat with you more about your floral needs and see how we could collaborate to make your space come to life! From small, intimate spaces to large and bustling corporate offices, companies all around the Bay Area love us for our weekly subscriptions! We are experienced professionals in our field and excel at creating customized corporate floral arrangements that collaborate with your preferences, style, and budget. Urban Botanica is proud to bring you the best foliage from around the San Francisco Bay Area, and we want you to experience the joy and ease of sustainable flowers hand-delivered to your corporate office. Our weekly corporate subscription service to provides customized flowers that match the size of your space, the aesthetics of your office and the vibe you desire to create. Each arrangement will be refreshed and swapped out weekly by one of our competent staff members, and all flowers can be custom designed with a specific color scheme or particular variety to keep you happy. 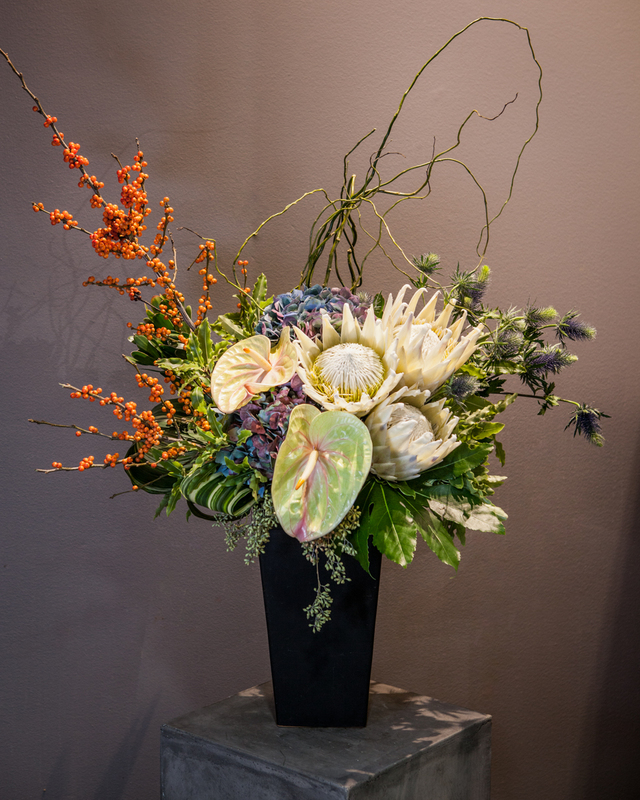 Our floral subscriptions are extremely popular at Urban Botanica, and we strive to create stunning, artistic florae for each one of our valued clients. 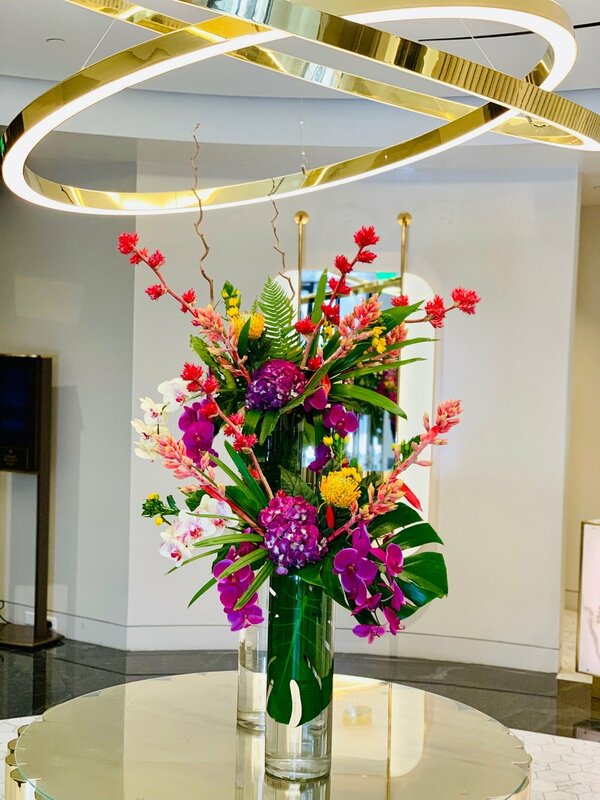 We understand thereâ€™s nothing more calming than entering a space filled with fragrant, ravishing flowers that compliment your workplace or home, and we are delighted to design custom floral arrangements that youâ€™ll look forward to every day. Letâ€™s collaborate together to create a special atmosphere that leaves you uplifted, delighted and perfectly at peace! Our weekly flower subscriptions are extremely popular in San Francisco and surrounding areas and provide our clients with an indispensable floral delivery service. At Urban Botanica we value bringing our best to your table, whether it be an office desk, living room or hotel lobby. Our floral arrangements are hand-delivered straight to your workplace or home and customized for every client based on needs, budget, and preferences. Each individual bouquet and centerpiece is unmatched in quality, style, and design. Our weekly delivery service is available Monday through Friday, from eight-thirty in the morning to twelve oâ€™clock in the afternoon and the majority of our corporate and home deliveries are personally walked to your workspace by one of our staff. In the case of a delivery that is outside our walking distance, we use our favorite local delivery driver! Included with your subscription is the free installation of your custom florae on the premises by one of our lovely team members. Each week your arrangement will be swapped out for a fresh bunch. Weâ€™ve intentionally designed our weekly floral delivery service in such a way so you can relax and enjoy your work-flow without missing a beat! We are excited to team up with you and would love to provide you with the best weekly flower subscription service in San Francisco. To get started, contact us by phone or email, or if youâ€™re in the area, please feel free to drop into our cozy downtown boutique and meet us in person!